Nostalgic flavors, thin and crispy texture. Potato chips made from real food ingredients. New Englanders know that all you need for a great Cookout is a good fire and a little salt and pepper. These chips are dusted with Maine Sea Salt that's been smoked over Maine sourced apple wood and a little cracked black pepper. 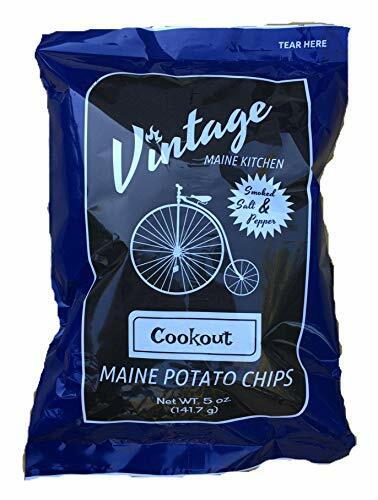 Vintage Maine Kitchen sources only the finest Maine grown spuds. We slice 'em wicked thin and fry 'em til they're crispy. It's that simple, the way food should be. This package includes 5/5oz bags of Cookout potato chips.